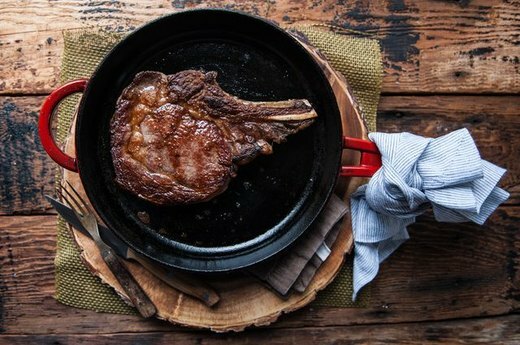 There are real benefits to cooking with a cast iron: meats brown evenly, crusts gain a golden hue and flavors are given time to mingle. 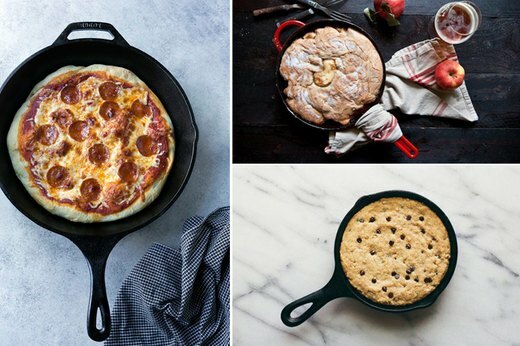 With a little prep and a handful of recipes — from a warm pot pie and a gooey cookie to a mouthwatering steak and a gratifying pizza — your cast iron will become your go-to tool for every meal. So, take out the skillet that is about to transform your cooking and baking talents. You two are about to become besties. When the weather isn't great, and grilling outside is a no-go, a cast iron skillet is your steak's savior. All you need is your favorite cut of beef, salt and olive oil to make a meal that'll rival every five-star restaurant in town. 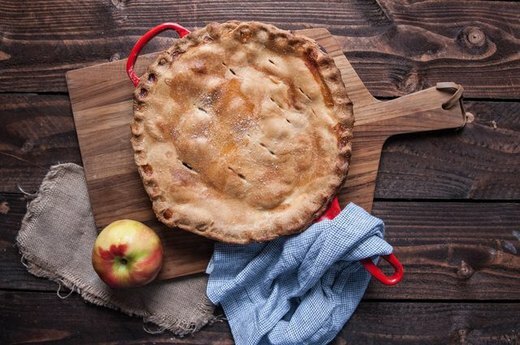 Even if you have a great meal planned, the moment you smell this rustic homemade apple pie, you'll be ready to skip the main course and go straight to dessert. Bonus? The cast iron creates a golden crust that tastes as good as it looks. 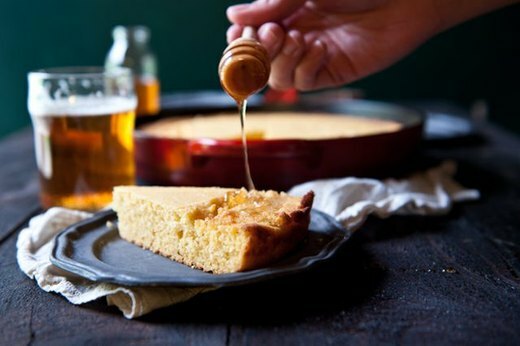 Cornbread makes the perfect side to almost anything, but this honey and beer skillet cornbread really takes it to the next level. Cooked in a cast iron skillet, this cornbread is super light, a little sweet and has a satisfyingly crunchy crust. Making your own pizza can seem intimidating, but before you order delivery, check out this recipe for pizza baked on a cast iron. 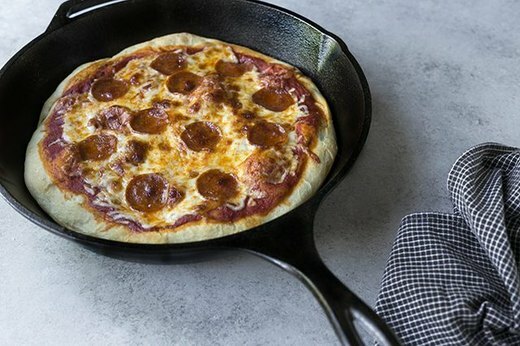 No pizza boards, pie-making techniques or fancy tools required for this mouthwatering showstopper — just your cast iron, favorite pizza dough, sauce and toppings. While a burger grilled on the barbecue does taste great, there are times when the work required to do it outweighs the end result. 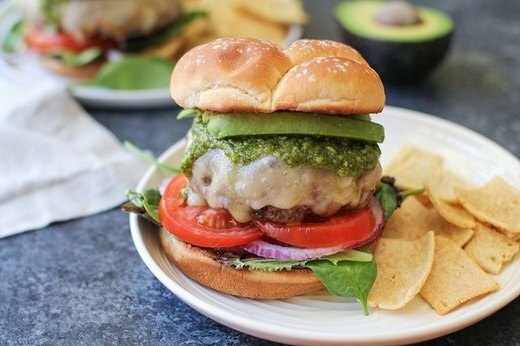 Forget about your coals and lighter fluid, and cook this cast iron burger instead. This hard apple cider cobbler is the dessert you didn't even know you were craving. 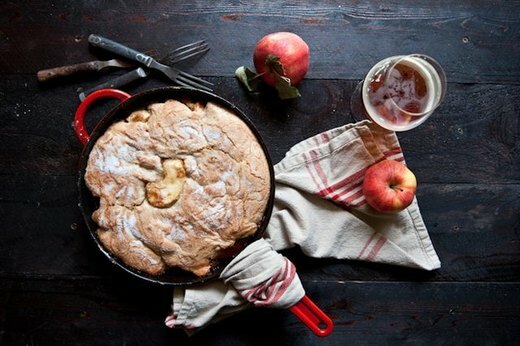 With dynamic craft cider flavors, tangy apple slices and a crumbly crust, your cast iron skillet never looked so good. Pair with a scoop of vanilla ice cream, and your mouth will thank you. Profusely. 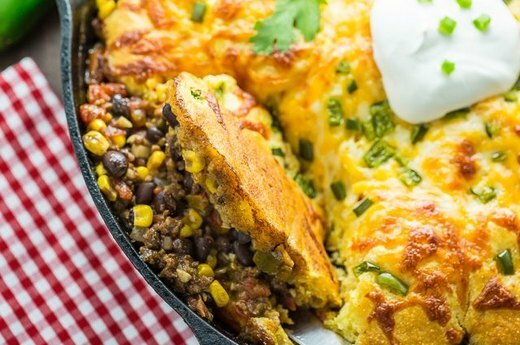 Figuring out the perfect dish to serve guests can be a challenge, but when you are armed with this recipe spicy tamale pie and your cast iron, it is a no-brainer. Throw all the ingredients together in one pan, coat it in cornbread dough and bake it. In 20 minutes, dinner is served. There is nothing as delectable as a cookie fresh from the oven, unless it's one that is as big as your face. 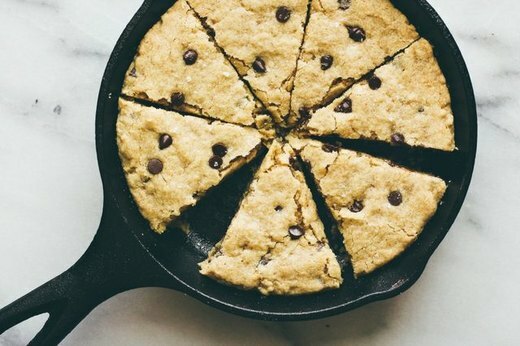 Who can say no to a slice of this skillet cookie? Not only will it satisfy your sweet cravings, but it'll make all of your friends happy when they see it. If sweets aren't really your thing, but you're still all about pie crust, this recipe for curried spinach and artichoke skillet pot pie was designed for you. 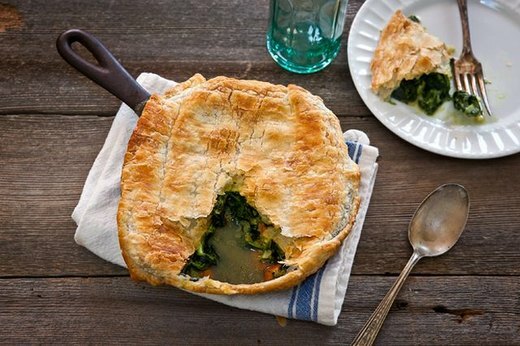 Flaky puff pastry crust and a savory filling make this pot pie exactly what you need on a cool autumn evening — or anytime you want to eat a delicious meal.